Today's "New Band To Burn One To" comes to you today from Copenhagen, Denmark. 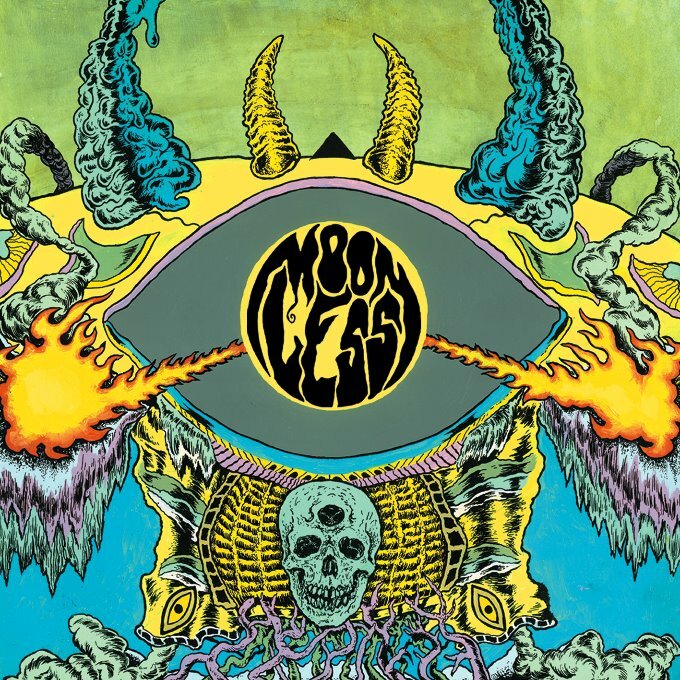 Moonless is a doomrock band from Copenhagen/Elsinore. 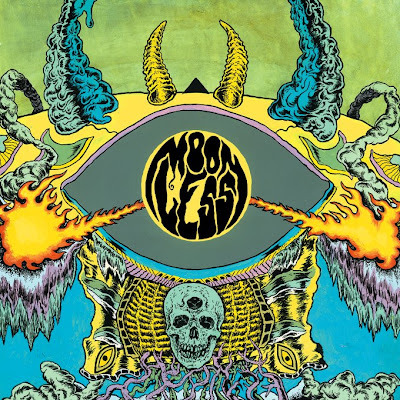 In the last two years Moonless have been dominating the almost non existent stoner scene in Denmark, supporting legendary bands such as Saint Vitus, Pentagram and Church of Misery. Their main influence, is Black Sabbath and many other heavy rock bands from the 70'ties, so expect a worship of the heavy riff, slow groove, and to get blown away. They have made a self released 12". "Born Burned Out" and a limited tour edition of the "Calling All Demons" Lp which was released March 2012 on Doomentia Records. "On their latest CD "Calling All Demons", Denmark's Moonless stake claim to a collection of songs brazenly slapped in the face by the hand of doom. The harmonious buzz of the guitars are prevalent throughout and you eventually find yourself humming along to the melody instead of singing along to the lyrics. Not to take anything away from the vocals, which by the way, lend a quivering raspy roar to this piece of majestic sonic bliss. While the tempo is mostly slow and is guided by a tight rhythm section, there are times when the pace picks up to break up the monotony. Standouts for me include the title track, "Mark of the Dead", and "Midnight Skies". I found this album to be an enjoyable piece of seventies-influenced doom rock and highly recommend. " This is great stuff, no doubt about it. Normally, bands with names this cool fall far short. I loved their sound.